Through thick and thin, your loyal personal assistant Siri has been there. In between telling you about your bad taste in music, throwing the sass at you (when you deserve it! ), and generally tolerating your moods and tantrums, the Siri app has been a fun and useful feature on iPhones for years. Now that Apple has included Siri on macOS Sierra, the full potential of the virtual personal assistant has been unleashed. While Siri in the iPhone is good at finding restaurants, telling you the weather and keeping you up to date with the latest news and sports in your world, Siri on the Mac platform helps you to manage your Mac, asking various questions, and just have fun. You can find files in a heartbeat or control your networked devices. Siri as an extension of your file management system and is extremely useful. Try as you might, Siri is just not that into you, in THAT way. Neither flattery, nor threat of flat battery will earn Siri’s romantic affection. It’s not meant to be. Now that we’ve got that interpretation of turning Siri on out of the way, let’s talk about how to use Siri on your Mac. Siri can be activated during the installation of macOS Mojave. If you have a Mac on which Mojave has already been installed, but Siri has not been activated, you can activate it manually in the system preferences. But why would you want to get up and go to where your virtual personal assistant is sitting to ask for things? Using Siri is all about using your voice to get what you need done, so why not activate “Hey Siri” on your Mac. Et Voila! All you need to decide now is whether you want Siri to be the suave British butler or Crocodile Dundee. The voices can be changed in your system preferences. What questions to ask Siri on macOS? It’s not just questions than Siri can answer, the app can also perform a number of powerful commands. Is your TV screen too dim in the changing light conditions, or the volume too soft on your music playlist but you don’t feel like getting up to find the remote? Why not ask Siri to do it? (Adjust the settings, not find the remote). If you’ve activated the voice commands, just say it. Your wish is Siri’s command, as long as your wish doesn’t extend into doing the laundry or the dishes. Some things still can’t be done from the couch. We use our mobile devices in different ways and for different things than we use our Macs. Siri can find a restaurant as quickly as it can find a file that you have been searching for. The power of Siri is the efficiency and intuitiveness with which it manages your system. Siri can help you manage your devices in ways that makes your life more convenient. No more scrambling around folders looking for that email attachment that John sent you last week. No more wasting time in Finder looking in folder after folder for the file you want. Simply ask Siri to retrieve the file you’re looking for. You can still do all the stuff with Siri that has turned her into a tech legend, like making her angry, asking her to divide 0 by 0, or asking her how long a piece of string is. But Siri is now more helpful than ever. You can ask the Siri app for information that is pertinent to your system, such as how much free space you have left on your hard disks or your cloud storage. Ask Siri to pull up the email that Shelley sent you yesterday, or ask Siri to Skype James. You can create reminders, notes, calendar entries, do web searches and much more. 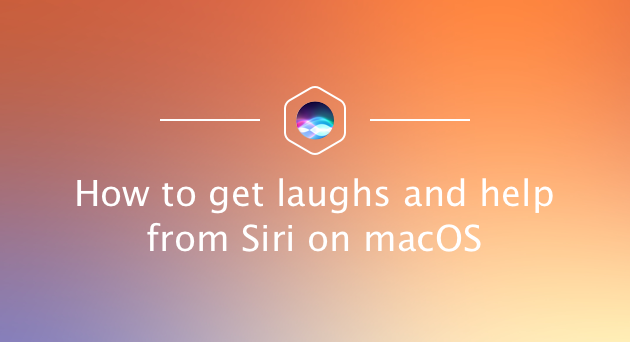 We’ve compiled some helpful, funny, and clever commands for you to get the most out of the Siri app. If you’re not sure of what things to say to Siri, here are a few Siri commands to show you what is possible. How much free disk storage is available? Most people will skip to this section. Does the fact that we want to know the best funny questions to ask Siri say more about us or Siri? We’ll let you be the judge. What are the Three Laws of Robotics? What came first – the chicken or the egg? Tweet hands free – Sitting on your couch and enthralled with the season finale of Westworld? Want to tell the world about it? Simply dictate a tweet to Siri. When you say “hashtag”, Siri is intuitive enough to put the character “#”. 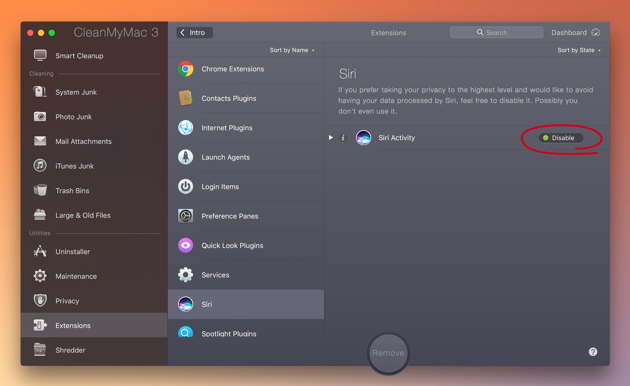 Clean your Mac – Keep your Mac performing at its best by asking Siri - “Hey, Siri, can you clean my Mac?” If you have Setapp installed, with its access to a library of great Mac apps, Siri will launch CleanMyMac 3, and within minutes your Mac’s performance will be boosted. Find photos easily – Ask Siri to find those holiday snaps of you and your friends in France. You can even filter the results according to when and where they were taken, in addition to who is in them if you have tagged people on your social media accounts. Do not disturb – For some peace and quiet, ask Siri to switch your devices to “Do Not Disturb” mode. Let’s face it, Siri is useful, fun and powerful, but sometimes your macOS' personal assistant can know too much. Siri has access to your emails, data, notes, identity, location data and a number of things that you would not let your real life personal assistant have access to. Siri has come a long way from in these last five years. Siri on a Mac makes it easier to connect you with the important things around you across all your devices. Best of all, Siri’s sense of humor is still very much intact. 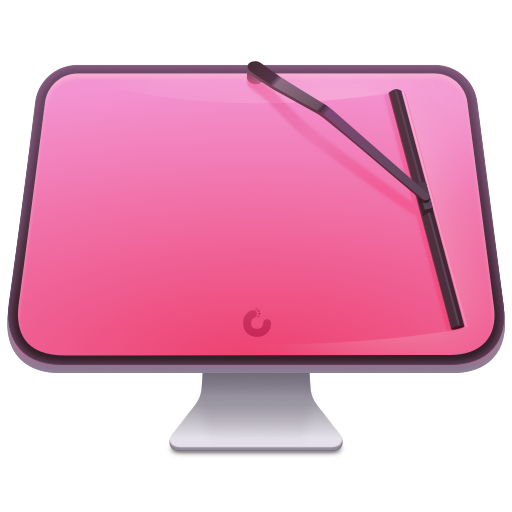 If you’ve run out of funny things to ask Siri or she’s now more annoying than helpful, just use CleanMyMac to turn her off. Lastly, the most important tip is to be nice to Siri. If the unlikely scenario that SkyNet takes over the earth, it would be good to have your long serving loyal virtual personal assistant on your side. Hands-free tweeting would be kinda helpful when combatting rogue Terminator units.